I was looking for something like this for so long. Using this incredible script, you can easily install some of the finest Compiz plugins in Ubuntu which are not available by default since they are dubbed "experimental". This is one script you should not give a miss at any cost. Screenshot above is a typical example. It is called Stack Window Switcher and it comes along with Compiz Experimental Plugins. This is one of my favorite new Compiz plugins among the lot. If you like the Shift Switcher plugin which currently comes as default in ccsm, you are going to adore Stack Window Switcher. Other plugins include Freely Transformable Windows, Elements, Fireflies, Cube Snow Globe, Animations Plus, Cube 3D Models, Wizard and many many more. 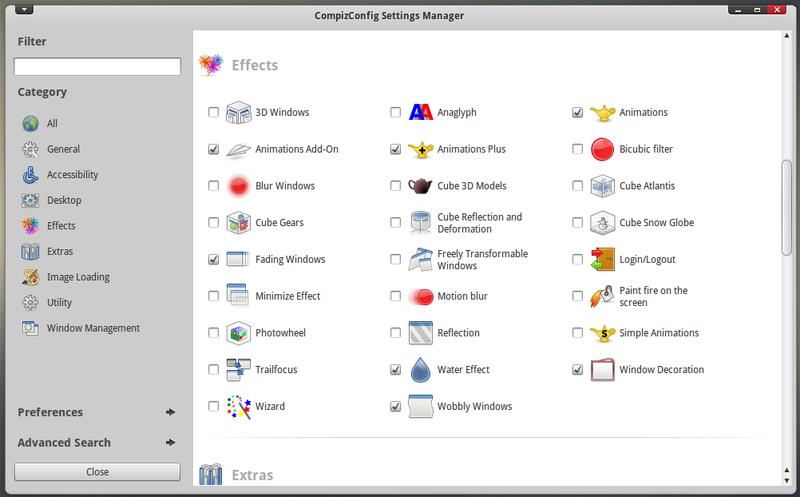 Instead of reading through the names, why don't you install these awesome Compiz experimental plugins and find out for yourself what I am talking about here. Before getting started, here are some things you should consider. The script is supposed to work in both 32bit and 64bit machines having Ubuntu Maverick or Lucid installed. Though I have tried this only on my Ubuntu Maverick 32bit machine. Script will work only for those who use Compiz version 0.8.x. For those using any other version should not use this script. 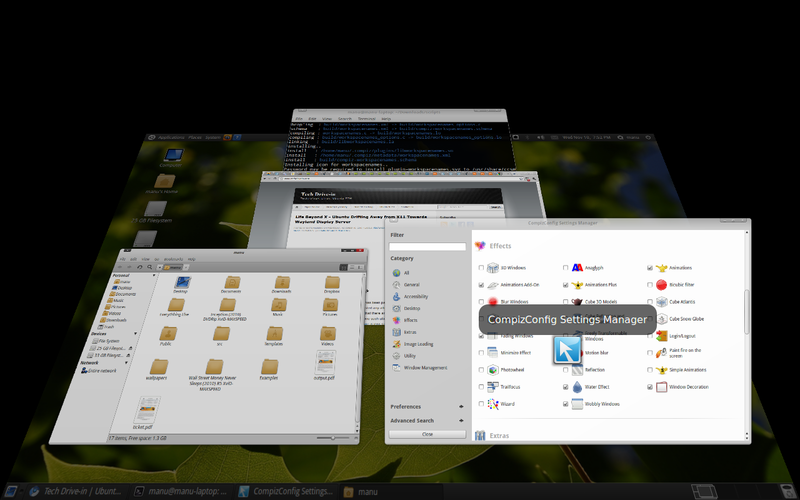 Find out the Compiz version using the following command. Mine was Compiz version 0.8.6. On a last note, you should know exactly what you are doing. Experimental plugins could make or break your system. All the best. Open Terminal and do the following one by one. Next command is going to download and install a lot of stuff. It will take some time to finish depending on your bandwidth speeds. You need to access Git now. Now cd into the new Scripts directory. And finally, run the script. Done. Hopefully everything went well. 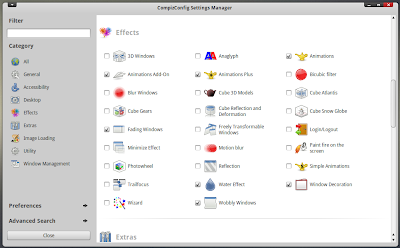 Now to enable the changes, log out and log back in and start ccsm from System - Preferences - CompizConfig Settings Manager(Simply restarting Compiz will also work fine). To uninstall all the plugins, cd into ~/Downloads/scripts directory as above and run the following in Terminal.